The College of Science and Humanities provides a home for a core of science and humanities courses that broaden students' exposure to knowledge, values, learning, and the art of communication. Our faculty include psychologists, poets, historians, and an extraordinary team of writers and scientists who love their subjects and its teaching. Classes are small and instruction is student-centered. In an age of global village awareness and multi-cultural interaction, the faculty in the once-traditional areas of Arts and Sciences have created innovative new courses and redesigned some existing courses to enable students to prepare for international commerce, health, and other professions in the 21st century. 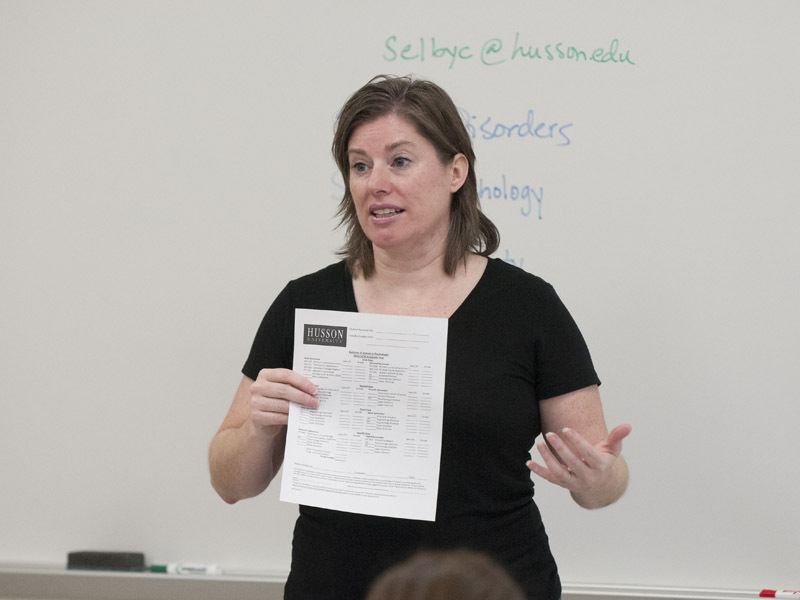 Academic disciplines come alive at Husson with faculty dedicated to interdisciplinary teaching and relevant clinical experiences. Students learn self-discipline, professionalism, academic integrity, and improve their self-image while meeting these challenges. Explore your full potential in science and humanities. A wide range of majors to fit your talents and interests. Individualized attention along with experiential learning gives graduates a competitive edge in the marketplace or for graduate education. Student/faculty research collaborations featured at annual Research and Scholarship Day. Science programs that prepare students for acceptance into a wide variety of professional schools: medical, dental, veterinary, as well as our own schools of occupational therapy, physical therapy and pharmacy. Individualized advising that helps graduates prepare for certifications and licensure. “There are four full-time psychology faculty each with different areas of expertise. Working together, we offer students an integrated selection of diverse courses that students won’t find elsewhere."